3) They have easily obtained – I have been know to fall in love with beauty products that are not easy to find or easy to ship. The internet has made this drastically easier but for awhile I was in love with Lush’s fresh face masks and there were no Lush stores in the United States and they could not ship their masks. I was a very desperate girl for a few years and I would beg any friends going to Canada to pick me up some. Lesson learned. 4) I also prefer my skincare and makeup to be unscented or very lightly scented if possible, just a personal preference. I do like perfume and scented things, just not on my face. 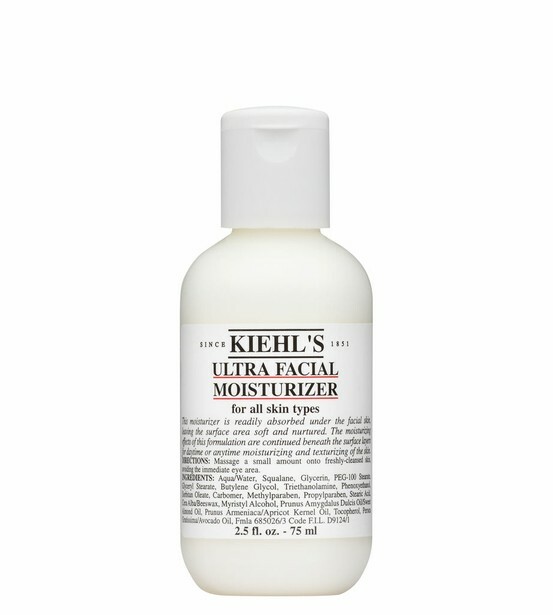 I have been a big fan of Kiehl’s for years. I used to have rosacea and this was the only moisturizer that would not aggravate my breakouts. Once I got rid of the Rosacea (thanks to a great dermatologist) I still kept going back to this moisturizer. It’s inexpensive for the quality and quantity of product you get. I can use it any season, for night or day and there is no scent. I’ve even been known to use it as my undereye cream if I’m too tired for regular eye cream or to smooth my hair if I have flyaways. I have never been a big fan of the version with SPF 15 – it gives me little bumps on my forehead. However I think that this moisturizer does play well with others and I can layer sunscreen over it very well. The same goes for Vitamin C treatments, Retinols and any other Serum you like to layer on at night. This was a fling that quickly blossomed into love. 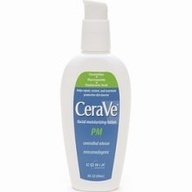 My dermatologist had mentioned that as far as skincare goes to skip the spendy brands and just use CeraVe products including the nighttime moisturizer. I sat on this information for a whole year before I bothered to buy the moisturizer. Fool! At $15 bucks a pop this is one of the best values in skincare. As soon as I put it on the fines on my forehead practically disappeared and my skin seemed, well, very happy. Over the last few months my skin, which wasn’t bad before, has definitely improved. Less lines, better skin tone. This formula is not greasy at all, is scentless and has never broken me out. I also use the cleansing lotion, which is pretty good but is not a miracle worker when it comes to removing makeup. I hope they come out with an eyecream too! I have scaly feet. If you have scaly feet too Aquaphor can help with this. 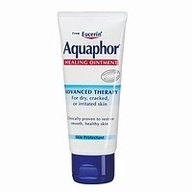 A co-worker of mine recommended Acquaphor last summer when I complaining about my poor cracked feet (thanks Larissa!). This a very, very heavy salve that you can put on feet at bedtime. With a couple of days of regular use your will be pretty in no time! However – a word to the wise – put on some socks afterwards, especially if you are going to walk around. I can still find tracks on my hardwood floors where I learned this lesson the hard way. I use this on my cuticles as well and sometimes on my lips. 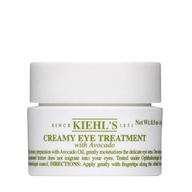 This is a very nice non-reactive eye cream. I love that there is no scent and that it tightens up the area under my eyes. It doesn’t seem like it’s sinking in at first, but give it a minute to work the magic. The avocado smooths any lines and gives a great base for undereye concealer. I have tried many other eye creams over the years and this one is my buddy. Works greats over a depuffer gel like Clinique’s all about eyes. This will not remove wrinkles or puffiness but it does a great job moisturizer and smoothing the eye area. My go to cleanser for years and years was Clean and Clear’s cleanser for sensitive skin. It did a great job of removing all my face makeup in one go and had minimal scent. I could use this as an eye makeup remover and facial wash and at night and when you are tired and just want to go to sleep that is a beautiful thing. It also does not sting if it gets in your eyes. About a year ago I realized that my skin was probably at little too dry now to keep using this product. However, I still maintain that the best all around cleanser for folks with combo skin. I miss it. These days I switch back and forth between Purpose by Johnson & Johnson and CeraVe’s Hydrating Cleanser. I’m totally trying that CeraVe cream – thanks! I like Purpose liquid face soap and the old fashioned pink Oil of Olay. Though as I get, ahem, older, I need more help than the pink provides. For spendier creams, Estee Lauder ReNutriv (silver jar) beats Creme de la Mer, which I’ve also had. It’s a third the price so you can kind of justify it. The Creme de la Mer was a total dinky splurge (duel income – no kids). My crush lasted as long as the jar did.